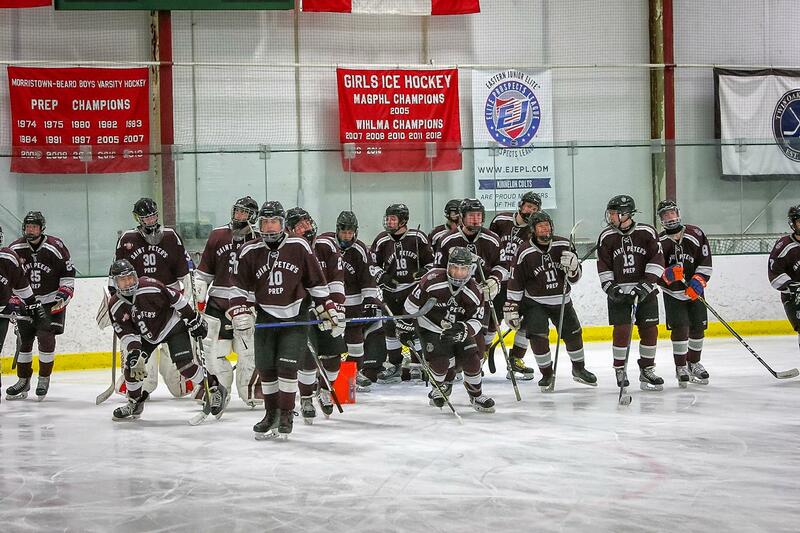 The St. Peter’s Prep Ice Hockey team, which competes against the top teams in the Tri-state area, has had a great start to begin their winter campaign. The team has a record of 4-2, with a 2-0 conference record,and is ranked No.9 in the state. The biggest win so far this season was against Msgr. Farrell (NY) where the Marauders outscored its opponent, 7-2. Matt Zdanowicz is the scoring leader with seven goals and Ty Pezzolla has netted four goals. Brandon Balatbat, Christan Della Rocco and Aidan Seborowski each scored three goals while Nathan Bryant made 87 saves in the net. The Marauders will play St.Joseph (Met.) on Friday at the Arenas in the Woodbridge Community Center. Check out the ice hockey page below for the team roster, schedule, directions to the games and more!